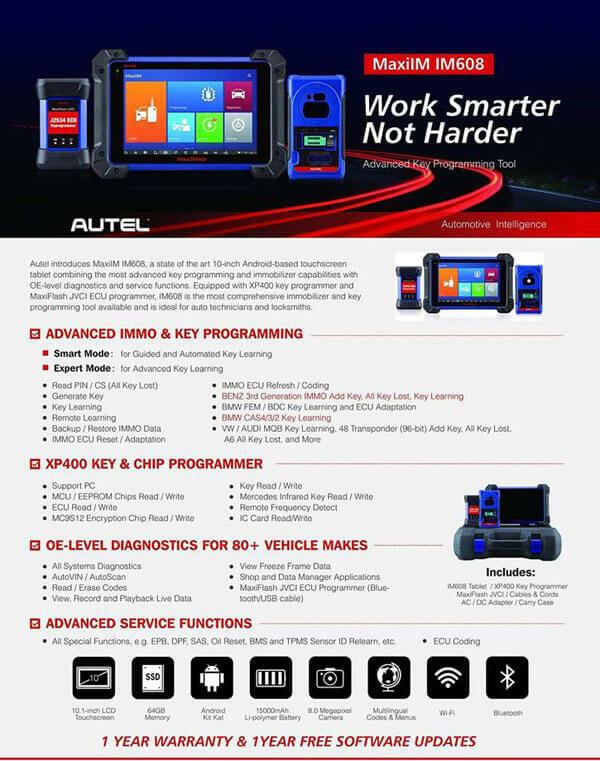 Autel MaxiIM IM608 Equipped with XP400 key programmer and MaxiFlash JVCI ECU programmer. Autel MaxiIM IM608 same as Auro OtoSys IM600, IM608 100% original from Autel. It combines the most advanced key programming and immobilizer experience with advanced automotive diagnostics and service functions, a 10-inch Android-based, touch-screen tablet with the latest in art, the Autel MaxiIM IM608. IM608 A comprehensive, ideal immobilizer and key programming tool for automobile technicians and locksmiths.